Welcome to Interasia Auctions, the market leader in Asian philately. As the Year of the Dog comes to a close, we would like to thank all of you again for making our fantastic 2018 possible and wish you a happy, prosperous and healthy Year of the Pig! As we map out the coming year, we look forward to seeing many of you in Wuhan at China's once-in-a-decade International Stamp Exhibition in June. The International Exhibitions have historically acted as strong stimuli both for collectors and the stamp markets, and the Wuhan Exhibition should be no exception. Our Summer auction is strategically planned to take full advantage of these enhanced markets, and we are already well at work putting it together. If you have a collection or individual items you wish to sell, or simply have stamps or covers you no longer need, it's an excellent time to sell and take full advantage of our industry-leading prices, preeminent market position, worldwide customer list, extensive promotion, and unrivalled reputation. The consignment deadline for the auction is April 15, but of course it's helpful for us to receive your material as early as possible. If you have any questions or need help with your consignment or collecting, please don't hesitate to contact Jeffrey, Cecilia, Robert or Daniel. Interasia is the world's largest full-line auctioneer of China and Hong Kong stamps and postal history, with a well-deserved reputation for superior realisations and having the largest and broadest offerings of material in our sales. 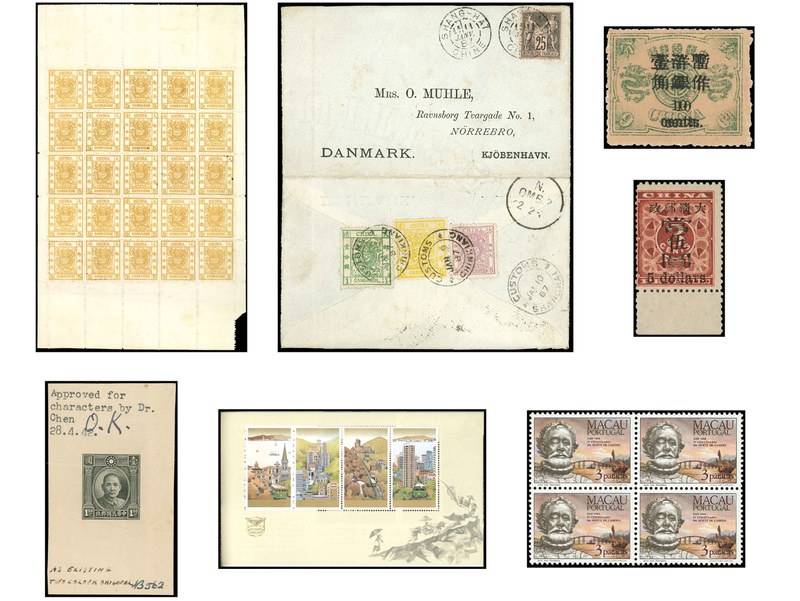 Our auctions in Hong Kong, the center of Chinese and Asian philately, are major events, producing market-leading prices. If you have a China, Hong Kong or Asia collection or good individual items you wish to sell, why not take advantage of our preeminent market position, worldwide customer list, extensive advertising and promotion, renowned expertise and unrivalled reputation. Notwithstanding our size and market position, we highly value each of our consignors from the smallest to the largest and work to get maximum realizations for all of them. Contact us today to consign to the world's leading auctioneer for China, Hong Kong and Asia. We would like to extend our best wishes for the festive season, and a healthy and prosperous 2019.